Month: June 2010 - ThirtySevenWest ThirtySevenWest - Creative ideas about personalized custom ribbons, woven tags and labels, personalized gifts and more!!! Whether you are an up-and-coming designer trying to put your clothes on the market, or part of a church prayer shawl/knitting/quilting group spreading love, comfort, and hope, it is important to put your best foot forward. With this in mind, remember that your label is like your business card everywhere your product goes. When looking at your product, it is the label that is going to remind the customer who produced the shirt that they loved. It is the tag that will tell the patient who crafted the prayer shawl that comforted them in a time of need. At Thirty Seven West, we pride ourselves in doing everything in our power to ensure that your label is the highest possible quality it can be. We provide labels in damask, satin, taffeta, and organic cotton to ensure that the label matches the quality and feel of your products. Beyond labels, we also provide hang tags, care/content instructions, and size tabs…pretty much everything you need to take your product from the factory to the store. We also have extensive experience working with prayer shawl groups, as well as knitting and sewing circles. We enjoy working with anyone who is working to better their community. We believe it is important to leave the world a better place than we found it. All in all, we just ask that you remember that we will put in the same amount of love and take the same time and care in branding your product as you spent in creating it. There are some people who will absolutely never eat leftovers. I mean, throw away food kind of people. Or give it to their dog kind of people. Really, I never understood the notion behind it, but I have to say that I love leftovers. It’s been said that lasagna or soups even taste better the second day. This recipe calls for leftover ham… perfect after a family gathering or just if you really like cooking hams. And what I think is the neatest thing about this recipe is that it comes to us via a food blog set up by Fisher Paykel, out of New Zealand. No, we don’t get sponsored by them. But I think it’s pretty cool that a company who is selling these products is also giving creative ideas for how to use them. 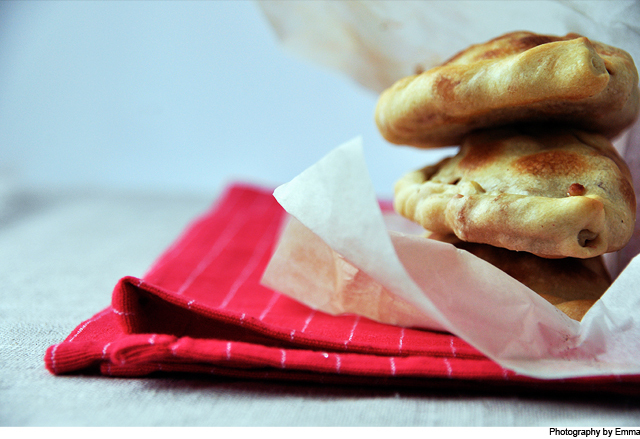 For the full recipe of how to create this Ham Torta, check out here. 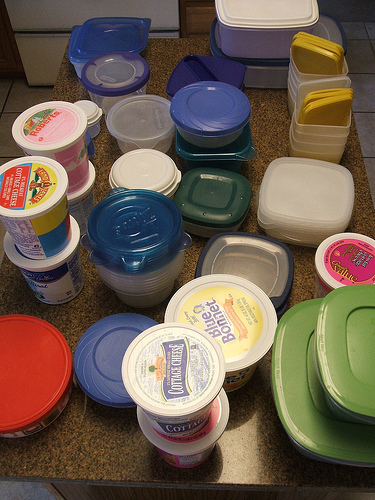 Have you ever looked in your refrigerator and found last week’s leftovers? That spaghetti you made (which now has grown a nice beard of green and white) wound up buried under the take out from three nights ago, shoved behind the milk jug, and obscured by the vegetables you bought for today’s meal. Have you been making enough food for four (or even eight) at your table, when you’re really only two? Do you buy a box of cereal, eat half, then forget about it and buy a new box of cereal? Do you find the first box of cereal two months later, when it’s so dry and stale that the only thing you’d feed it to is your garbage can? There are so many different times throughout the lives of our groceries that we end up wasting food. Now this isn’t a finger-pointing session. The truth is that these types of scenarios could be true with any of us. Whole Living, a division of Martha Stewart, has provided a great list of 12 ways to prevent food waste. All it takes is one read and you can easily learn how to make small changes that will positively affect your families, wallets, and the community of local growers that may live in your area. For the list, click here. I love coffee. And I love coffee from coffee shops. And I love coffee in to-go cups . I know, you hate me because I am wasting precious resources (some in the office do recycle, so fear not!). And sometimes I really do feel bad that I haven’t brought my own traveler’s mug to the coffee shop… but those bad feelings quickly fade as I happily sip my coffee and drive away in my gas-powered, exhaust-creating car. 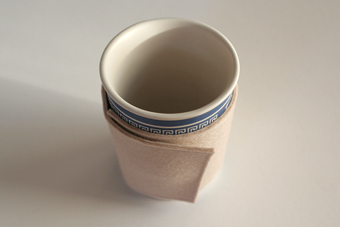 One thing that I do think can help reduce waste, and more importantly look cool, is creating a coffee sleeve. This is such an effortless DIY project that you will have made 5 by the end of the week. They are cute, inexpensive, and can be personalized for your friends, family, or even co-workers. For the very small tutorial, head on over to The Small Object and check it out. The iPad instantly received some flack when it debuted earlier this year. 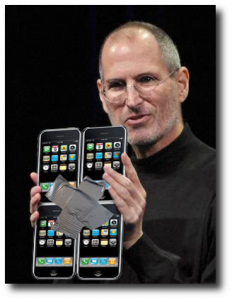 Many people said it was a depiction of what you see above: an enlarged iPhone or even iPod touch. While now I think more and more people are ooohing and ahhing about it, what we’ve been most interested in seeing is what accessory products emerge for this giant iPhone. That has been one of the most fast-paced emergent markets we’ve seen in the last decade—accessories for phones, smart phones, ladptops, tablets, iPods, and every electronic piece of hardware in between. Over the past few months, I’ve seen a lot of these different products, and have been totally intrigued with the different materials being used, whether traditional fabrics or recycled ones that are being totally transformed into guardians of your precious electronics. Some of these products enable you to look as professional as necessary, while others show off a unique style, and some are just designed beautifully, in both aesthetics and function. The first thought is that you can use the WATERWEAR product for keeping up to date poolside this year. But the company actually makes a good point about using this product in the kitchen. As the majority of recipes have gone digital, rather than print out a copy, you can use the WATERWEAR and cook in confidence! It’s sealed with a zipper, Velcro, and snaps, to block out all water. Het Product is a great product because of its soft wool quality. 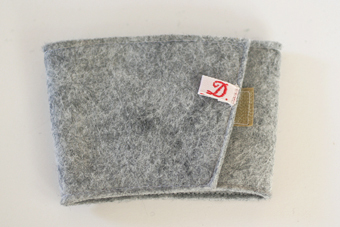 But also because it is natural wool, with no chemicals, and it’s hand rolled and hand stitched. De Invasie is set on trying to incorporate fair trade policies and eco-friendly production methods into their products, which is something we can definitely get behind. The F23 iPad sleeve is probably my favorite product on this list. It reuses old truck tarps and matches them in very modern patterns and color schemes. And the inside of the bag is lined with velvet so that every time you remove your iPad, it’s cleaning the surface of any fingerprints or smudges. Pretty and functional in one is what good design is made of. This is handmade at its finest. Kenton Sorenson makes all of his products in Wisconsin, piecing leather together by hand in his shop. According to his website, “Each iPad Portfolio is oiled and conditioned with beeswax and finished with a heavy linen thread side stitch. 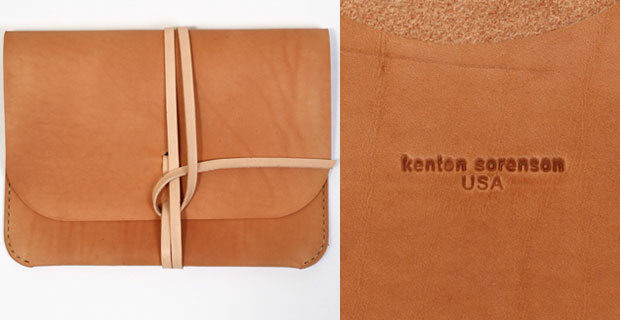 Kenton’s 4oz leather strap closure combines form and function. 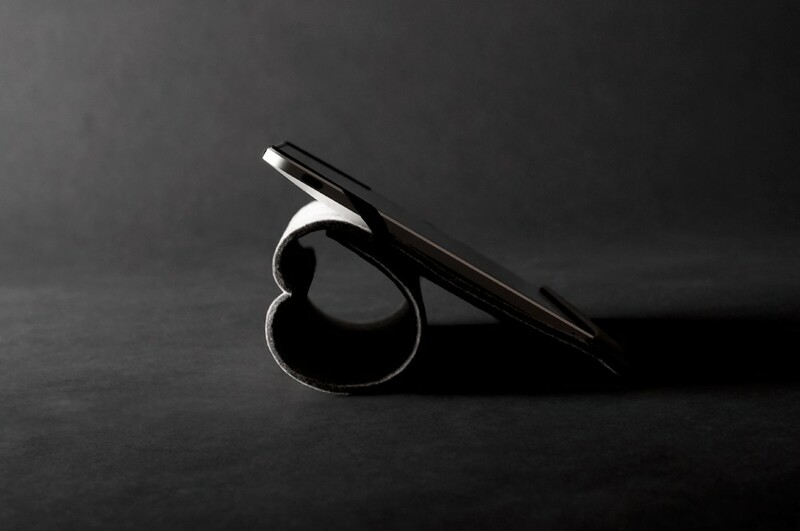 The strap can be wrapped around to keep the portfolio open while in use, or looped to a close.” It’s a simple, yet bold design. And as with all leather, extended use of this iPad case will break in the material and the case will wind up with a unique look from all your carrying. 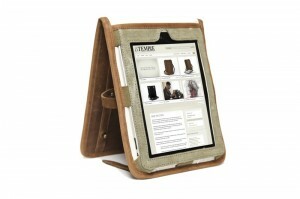 The Tilt iPad case is another great example of function and aesthetics at their premium. It’s not difficult to see the need for a stand sometimes with the iPad, so Hard Graft created a case and stand in one. Wool and felt create a flat protective sleeve while carrying your iPad, and then roll into a stand which is perfect for reading or elevated typing when you want. It’s been a clear trend that wool and felt are making a comeback, and that grey is here to stay awhile. The all leather iPad case from Temple is totally stunning. While the other cases would probably be slipped into your backpack, purse, or messenger, this one gets carried all by itself—and I don’t know that you’d have it any other way. The soft leather will totally acquire a distressed, unique look and truly, the manufacturing of this bag is superb. Steve Opperman, Temple’s bag designer, has created an impressive product legacy thus far. Whatever electronic wonder comes next, you will probably see one of his products with it. While this product is not as stunning as the aforementioned ones, I had to post it. 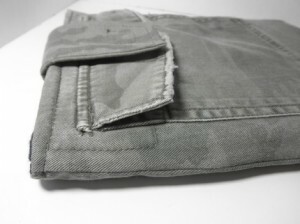 I never would have looked at a pant leg and seen the possibility for an iPad case. The designer has taken care to pad the pants and add a strap to keep the iPad secure during travel. I have to give credit for the creativity and for the recycling of materials on this one. 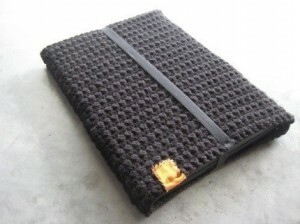 This iPad sleeve just looks comfortable for your iPad! 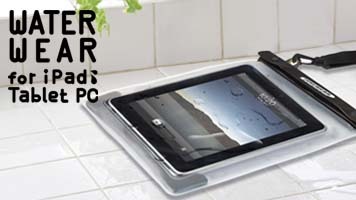 I mean, your iPad could probably fall asleep and take a two hour nap in this thing. I love the texture on this sleeve, and the overall simplicity of its design. The label makes for such a nice contrast color and I can totally see this product being a hit.